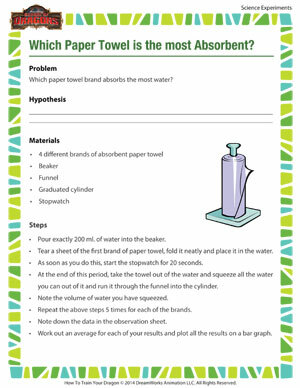 Home > Resources > Which Paper Towel is the most Absorbent? The humble paper towel is an indispensable part of every household; what would we do without it? Here’s a cool science experiment that tries to identify the brand that absorbs the most water. Are you up to it? You might also like other fun science experiments for different grades and ages, by the School of Dragons.